Planning a wedding or just haven't had a chance to connect with family for a while? We'd love to host you for whatever brings you together. We are able to host weddings, graduation parties, celebrations of life, etc., with a maximum of 95 guests in the restaurant and immediate garden area. 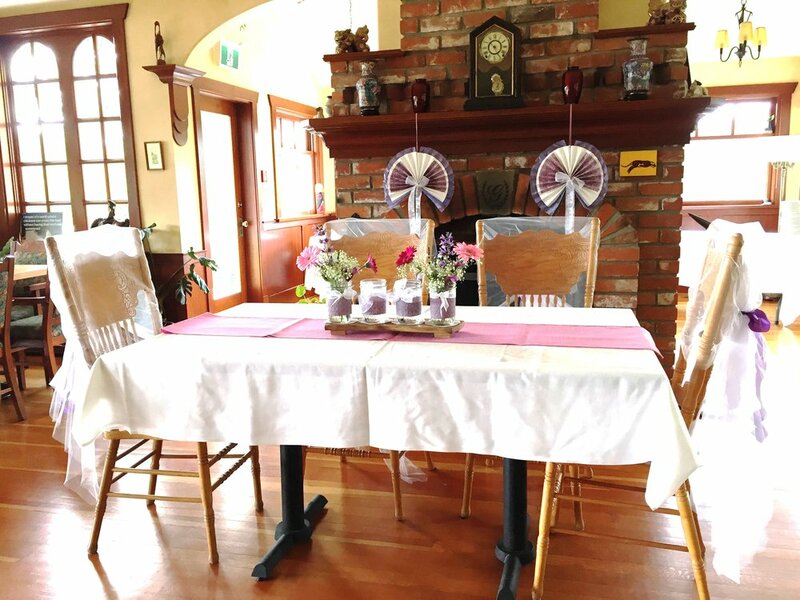 If you are looking for a sit-down meal for your guests, the maximum we can accommodate is approximately 50 inside the restaurant and 25 on the porch. For groups larger than this we can offer a stand-up style reception with passed canapes and mingling in the restaurant, porch, and garden area. Unfortunately due to the limitations of our business permit, use of the barn and orchard area is prohibited. Pricing is dependent on date, time, season, and impact to our business. We charge a buyout price or minimum spend that makes it worthwhile for us to close to the public. This minimum spend can be met with a combination of food, beverage, and venue rental fees. If your group is 14 or fewer, renting out the restaurant may be cost-prohibitive. In this case, we suggest reserving our sunroom area. This is a semi-private space located within the restaurant. For groups larger than 10 joining us for dinner, we will tailor a prix fixe menu for your guests. Please contact us today at events@glenrosafarm.com to learn more!